Goonhilly Earth Station has joined the consortium backing the SmartSat CRC (co-operative research center), a proposed space research initiative which plans to drive the Australian space industry through satellite technologies and analytics. Led by the University of South Australia (UniSA), Airbus Defence and Space and Australian defense sector engineering specialist Nova Systems, in partnership with the South Australian Space Industry Centre, the proposed plan for the establishment of the SmartSat CRC was developed starting early in 2018 and has been submitted to the Australian government for ratification. The first stage of the application process with the Federal Government has been successfully completed and the consortium is now preparing the final stage application, and working on next steps outlining the organization’s parameters and discussing funding. 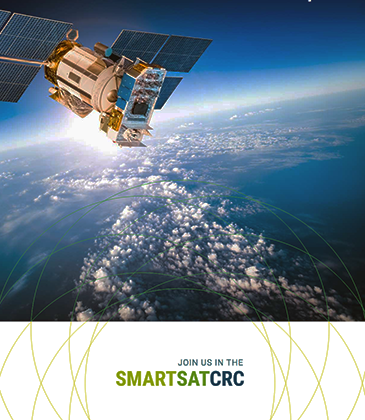 The SmartSat CRC consortium aims to enhance connectivity, navigation and monitoring capability for the benefit of Australia, helping to maximize its resources by solving major satellite system and advanced communications challenges. The goal is to catapult Australia’s space industry into a leadership position in several areas including intelligent satellite systems, advanced communications, and earth observation driven data analytics. Aerial photo of the Goonhilly Earth Station. Professor Andy Koronios, Dean of Industry and Enterprise at UniSA, said that with its technological and commercial expertise, as well as its expanding capabilities and resources, Goonhilly will make a significant contribution to the SmartSat CRC. Dr. Bob Gough, Head of Business Development, Australia & Asia-Pacific at Goonhilly, commented that the space industry is a global one and Goonhilly is well poised to support Australian organizations as they look to extend their reach. 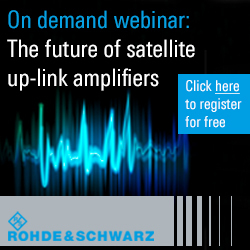 At the company's UK site, world-class satellite capacity is offered, with visibility spanning 145 degrees W to 135 degrees E, enabling the firm's customers to reach millions of people and receive sites in a single satellite hop. 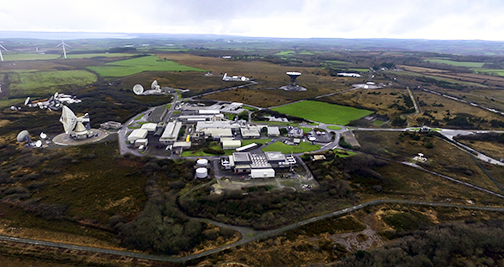 This is complemented by Goonhilly's connectivity with bundles of subsea cables and fiber as well as the company's new multi-million-dollar data center. Establishing a technical and operational presence in Australia is essential for Goonhilly as the firm fulfills the goal of creating e a worldwide deep space network; joining the SmartSat CRC perfectly complements this objective. The company bringing is bringing the Goonhilly business model of cooperation and collaboration — which has been so successful in the UK — and this proven approach will be used in numerous SmartSat CRC projects. With the global industry leaders and world-class university researchers in SmartSat CRC, there is huge potential to develop new space industry opportunities that benefit all of Australia and the broader Asia Pacific.